While most of my all-time favourite travel destinations are tiny islands in the South Pacific (Rarotonga *cough* Rarotonga), I must admit that I am quite partial to a beautiful city. While exploring nature is usually my preferred adventure, getting lost in the concrete jungles of the world comes a close second. So, where exactly are my favourite cities in the world? From the very first moment I stepped out into the bright city of Tokyo, I fell madly in love. I’ll never forget the feeling of wandering through the colourful city for the first time; neon signs lit up the dark evening sky, washing the city in a spectacular array of bright light. The streets of Tokyo are always full of locals and travellers alike. As I joined the hordes of people walking through Shinjuku, I felt the energy around me, an energy unlike anything I’d ever experienced before in my travels. I don’t even know how to explain it – it is something you just have to go and feel for yourself. I’ve been twice now and have felt this same energy each time. It is addictive! One of the best things about Tokyo is that no matter where you wander, there is no shortage of culture, exotic food, and exciting things to do and see. Both times I’ve visited the stunning city, I’ve always stayed in Shinjuku. Why? Because it is absolutely ‘the place to be’. 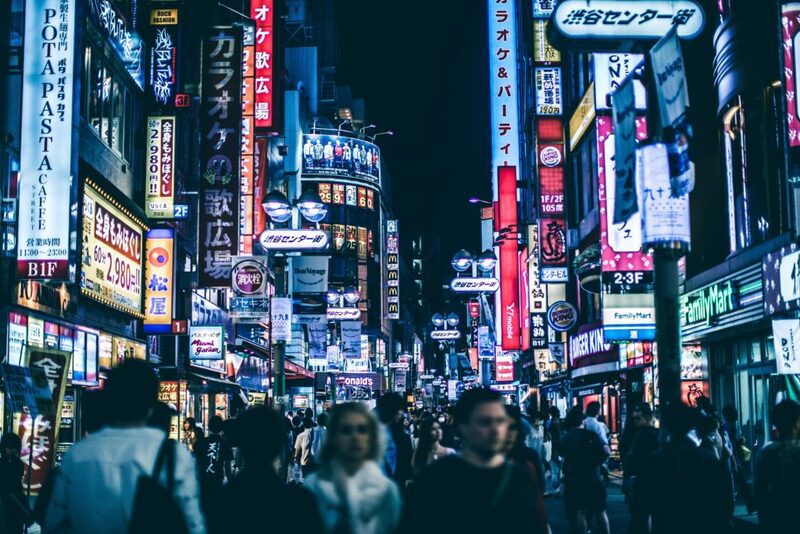 There are countless opportunities to experience the true Japan; from singing your heart out at one of the many karaoke bars, to trying out the local culinary delights (once you taste authentic Japanese ramen, your tastebuds will never be the same again). In fact, every morsel you put in your mouth in Japan is incredible – they know their food! I could sit here and rave about Tokyo endlessly – I’m absolutely obsessed with it. If you’ve ever wanted to visit Japan, please take this blog post as a sign to do it. You won’t regret it! OH! When in Tokyo, go to the Robot Restuarant in Shinjuku. This isn’t a recommendation, it is an ORDER! Have you already been to Tokyo? If yes, I’d love to hear about it! Drop me a line in the comments. The first time I ever went to NYC was in 2008, and I was there in transit between Los Angeles and my new summer camp home in Pennsylvania. I remember landing from a red-eye flight in New Jersey, and as our transfer driver drove us into the city I couldn’t believe my eyes. 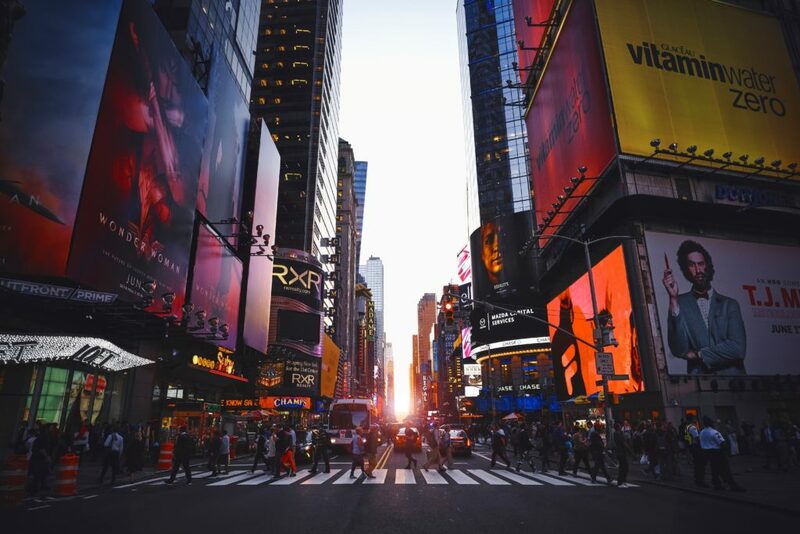 There’s nothing like the first time you see NYC in person – the skyline, and tall buildings, the yellow cabs. Every fantasy I’d ever had about the place came true. I went back after my time at camp and spent a few days soaking up the city, visiting places like the Statue of Liberty, the Empire State Building, Chinatown, Greenwich Village, Central Park, and countless others. The entire time was spent in an exhilarating daze of happiness and awe. I went back to New York City for the second time in 2010; it was the final destination on a road trip from Miami with three of my best buddies after I finished a semester studying abroad in Colorado. We spent Christmas there with a group of about ten other mates. We stayed close to Times Square and prayed every morning that we’d wake up to snow – our first white Christmas. While we were disappointed on Christmas Day, we woke to a light cover of snow on Boxing Day, and to say we were excited is an understatement! That evening, we went to an underground bar across from our hotel for dinner and a few drinks. Around midnight, we emerged from the underground bar to find snow falling from the sky in buckets. We had an impromptu snowball fight in the middle of the street; the road already covered in too much snow for cars to drive past. The next morning, we woke to more snow that we ever could have prayed for. New York City had been hit with a blizzard so intense that cars were completely buried in the streets, and the airport even had to shut down for a few days. The storm even has its own Wikipedia page! Check out some other photos of the storm here. I couldn’t keep away from New York City, even after two visits. In 2012, I took my best mate Carlee to the beautiful city, which was the last stop on our two-month trip around the US. It was absolutely amazing to have the opportunity to share one of my favourite cities in the world with one of my favourite people in the world, and Carlee loved it just as much as I did. We explored Central Park at length and had more than our fair share of giant pretzels! Have you been to New York City? Tell me your favourite place in the city! I can’t write a list of my favourite cities in the world without including one from my own country. I first fell in love with Melbourne as a teenager, and after countless visits over the years, I’ve only fallen more in love each time. There’s no better place in Australia to eat, drink and be merry than Melbourne. I’m lucky that two of my best mates live in the gorgeous city, so every year I make time to go down and visit them. Every year, they’ve always got a new place to go for drinks, brunch or dinner, but we always make time for my old favourites. It doesn’t feel like I’ve been to Melbourne without going for two-for-one cocktails at Asian Beer Café, or for endless dumplings at Empress of China on Little Bourke Street. I also love going for drinks at Naked for Satan, and pretty much any café for brunch in North Fitzroy. I also love visiting the esplanade at St Kilda, and Brighton Beach is the perfect place for a swim during the summertime. On my visit last year, we also went to my second ever AFL game which was played at the MCG, and I must admit I’ve never had more fun at a sporting event in my life! 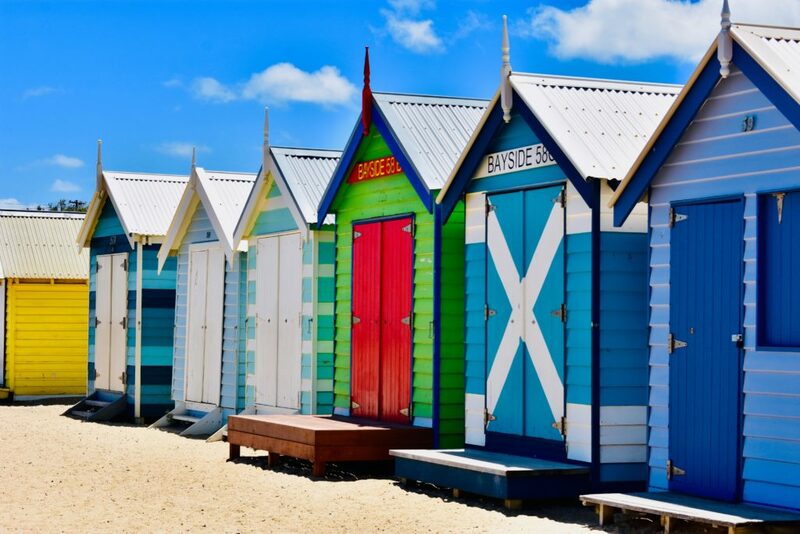 What’s your favourite thing about Melbourne? If New Orleans isn’t already on your radar, then GET IT ON YOUR RADAR! It is one of the most vibrant, electric, happening places that I have ever had the pleasure of visiting. I wasn’t entirely sure what to expect from our trip to New Orleans, but it will forever be in my memories as one of the coolest places I’ve been. 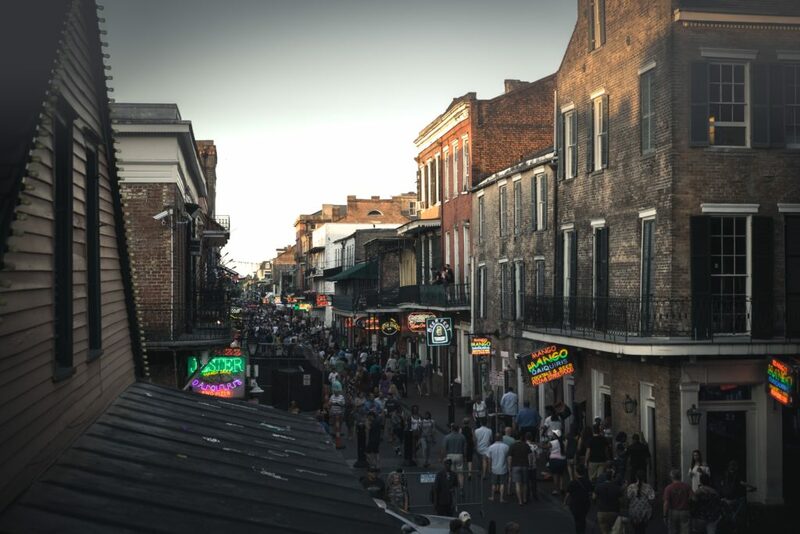 Bourbon Street is the ‘place to be’, and while some people will tell you it is overrated and crowded, I don’t agree at all. Yes, it is crowded but underrated it is not. The hordes of people only add to the atmosphere and if you play your cards right, you might even make a few new, funky friends! I had one of the best nights of my life wandering down the busy streets, people watching and drinking beer. There is electricity in the air – the people just want to have a good time. You can tell a lot about a place based on the feeling it gives you when you’re there, and New Orleans had me feeling all warm and fuzzy the entire time. If you find yourself in New Orleans, be sure to check out as many of the little jazz bars as you can. These hole in the wall bars are so cool, and the musicians are incredible. We spent hours one night sitting in one of those places, drinking beer and jamming out to the music. I have a few more stories from New Orleans, none of which are appropriate for my blog – hah! Feel free to ask me about them in person though, and I might tell you. I have saved the best for last. I don’t even know where to start with all the reasons why I love Las Vegas. I’ve been three times and am going for my fourth in a few weeks (and am absolutely buzzing with excitement). I mentioned a special energy about Tokyo earlier, and I must admit that Las Vegas has a similar, but unique type of energy. From the moment you step out of the airport and see the slot machines in the terminal, you just know that you’re going to have a good time. 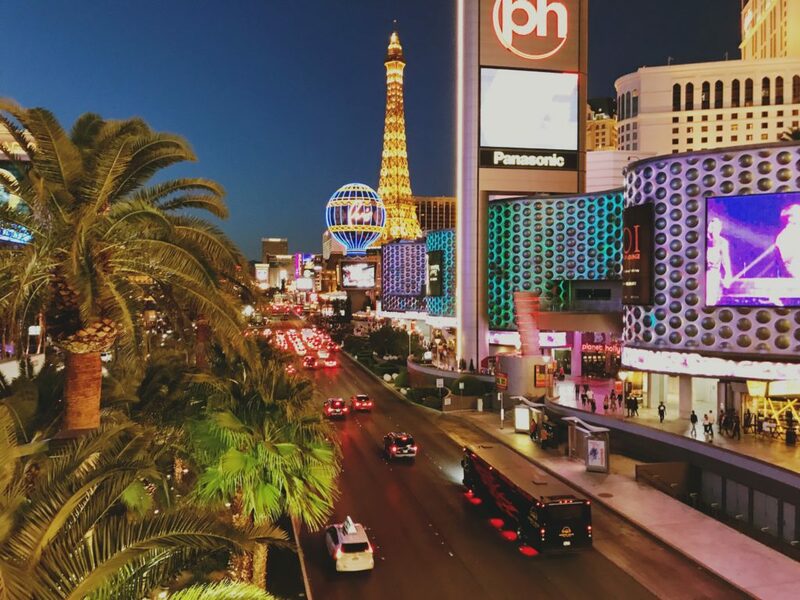 Everyone is happy and having fun, living their best carefree lives… because what happens in Vegas stays in Vegas, right? Wrong – it gets written on the Internet in form of a blog post. Although I will admit, there are definitely a few stories from my times in Vegas that are not appropriate for the online world, and I’m sure those involved would agree with me! The first time I went to Vegas, I felt like a little kid in a candy store. I wandered the Strip with my mouth agape, staring at everything around me; the bright, neon lights, the party-goers, the giant cocktails, the casinos… it was like no place I’d ever been. Even if you don’t like drinking and gambling, there is SO much to see and do in Las Vegas. All of the casinos on the Strip are incredible and worth exploring, and you can spend an entire day walking up and down just checking them all out. The main thing I love about Las Vegas is that is it just FUN. Like, really fun. Everyone is in a good mood and everyone just wants to have a good time. You could wander down the street in Vegas and accidentally bump into someone and they’d probably apologise to you and offer to buy you a beer. As much as I love New York City, if you accidentally bumped into someone there, you’d probably get punched. Or sworn at. Or both. So there you have it – my top 5 favourite cities in the world. Do any of your favourites make my list? Tell me in the comments!